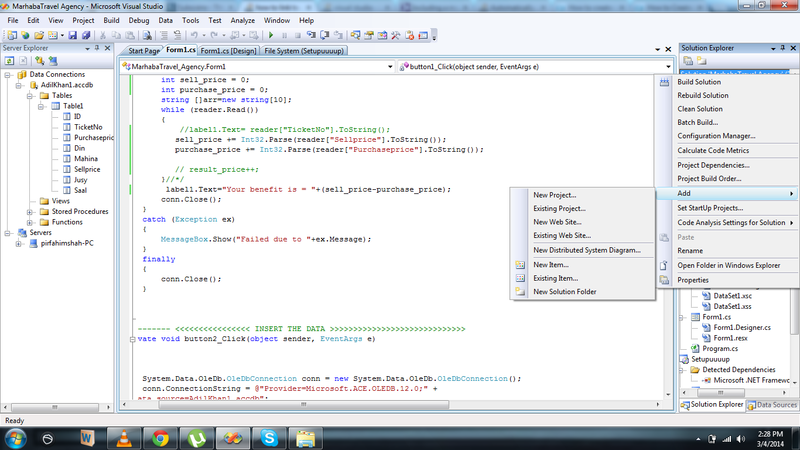 How to create .exe project of dot net (C#) of MS Access Data Base. 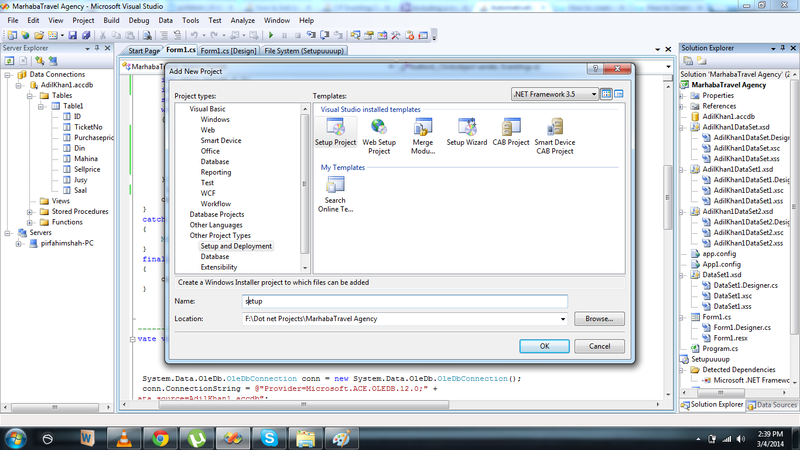 If you want to create .exe Setup Project of your **Dot Net** Application which is using **MS Access DATA BASES**. then simply follow this steps. Please read this one for a moment before to proceed these steps. [Connect with MS Access Data Base in Dot net]. When you are going to create the exe file then your data base connection string should be like this(means there should be no directory in @”Data source, Just direct put the name of your data base, because in .exe file when you add your data base file, then it is in the same directory. installer will have your DB. As i also have uploaded the “detection of face and eye” tutorial but now at this time, i am only discussing the “Detection of Face”. The code given below is well commented. So just copy it your project, and it will work 100%. 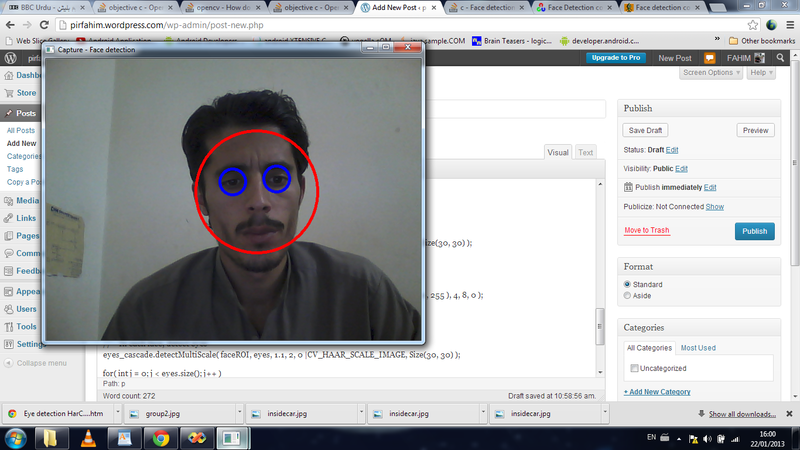 This tutorial will explain you that how to detect the human face and eyes, when a CAM is open Up and it start video.Here in this tutorial you will get the circle around human face and ellipse around the eye using OPEN CV programming. How to set Image for different HSV value in Open CV? I want to show you that how to get different action of HSV value on your image. 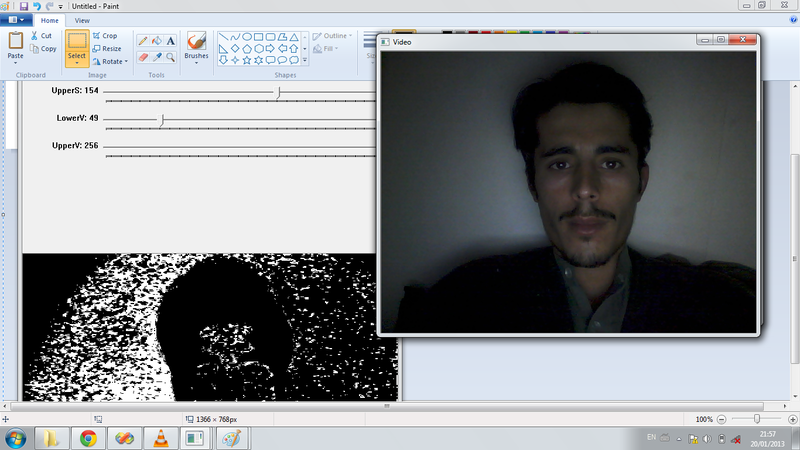 Here in this tutorial we will have two windows one window will show the CAM video, means the picture which through web cam we are getting from surrounding and another window is the combination of resultant picture from HSV value. If you want to track a blue color Object using open cv, then this tutorial will help you in understanding the step wise method use for identification and recognition a blue color Object. // TrackColour.cpp : Defines the entry point for the console application. cvShowImage(“video”, frame);//if we write “imgScribble” here then we will got an empty image screen where line will draw. This tutorial will help you in learning, how to draw circle, rectangle, text and line on any image in Open CV. How to Capture frame(pictures) from a video or CAM? 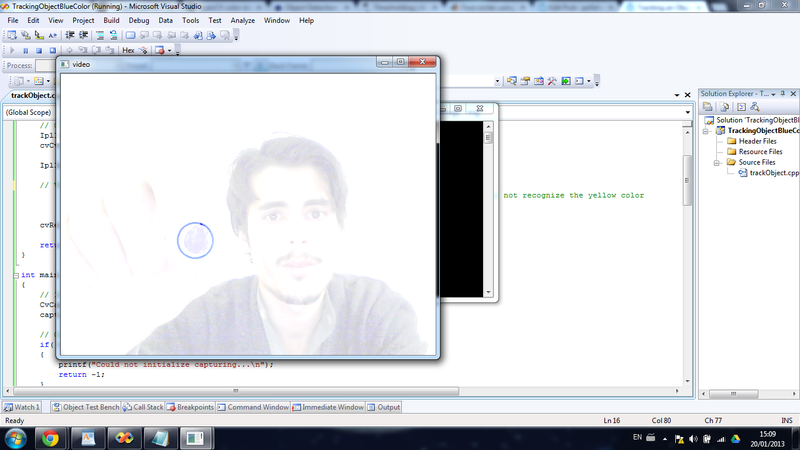 Here in this OpenCV tutorial i will show you, that how to get frame from your web came and then show it in your open cv window. First of all you should understand here, that i am not going to call a web cam and make a video, but here in this tutorial i will capture the picture from a user or any object through CAM and will use this pic in my own created Open CV window, and it will look like a video is going on.Actually it is not a video from a CAM, but it is the combination of all the pictures which i have capture throug my CAM and have put it into my Open CV window. 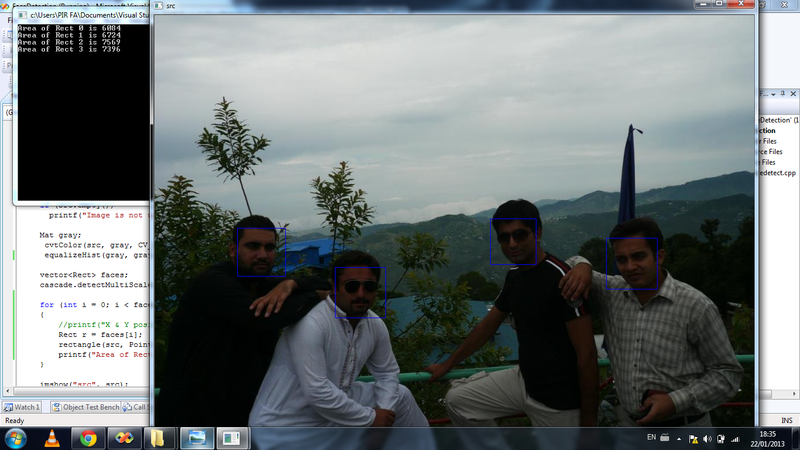 You can get picture either from CAM or from any video which is placed in your computer. here in this tutorial i’ll get all the frame from a CAM.